I returned home from a trip recently to find a huge rock in my foyer beside all the little shoes lined up by the front door. “Oh the crazy things my kids do,” I thought. I asked my girls about it and they said they found it in the bushes and grandma said they could bring it home. So they did. I wondered why in the world they would want to carry a heavy, ugly rock home. 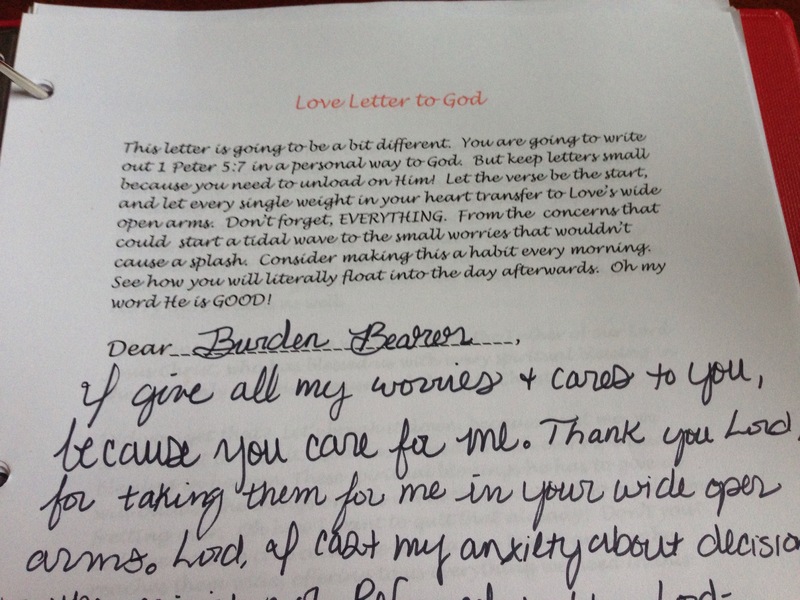 Today as I was writing out my Love Letter From God, I heard him ask me the same question. Why? 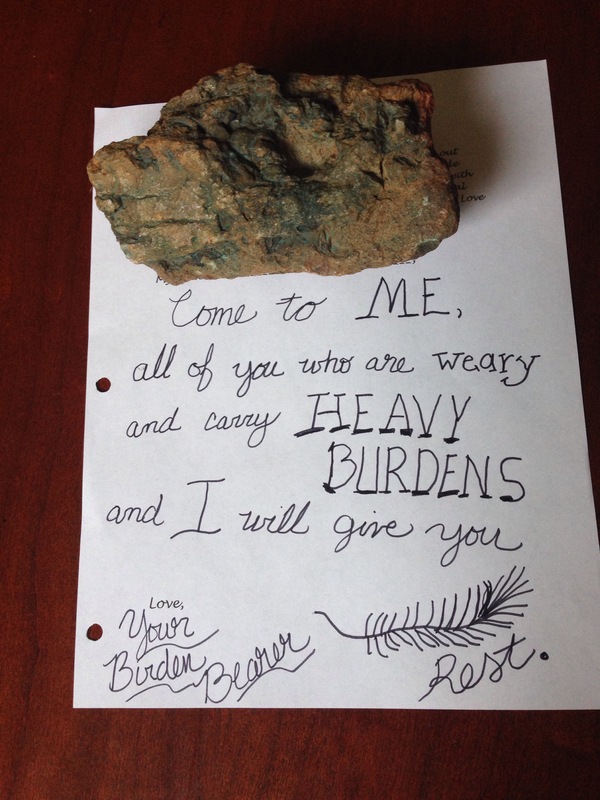 Today in the study guide, in our Love Letter to God we set our heavy stones down. All of them. Love’s arms are open wide, enough to take all our heavy stones, and still hold us in his arms at the same time. We can unload all of them on him every morning, and walk away light as a feather, letting him carry everything for us. So do it girls! Lay all your worries at his feet. He is waiting. He has his arms open wide in love. You can’t embrace him with your arms if they are full of your heavy burdens. Lay them down, and hold on to the One who is qualified to handle them. I pray that everyone reading these words stops, inhales a deep breath, and lets Jesus take their heaviest concern at the moment right now. Relax into his love. Doesn’t that feel better? Don’t pick the tension back up. Send him a quick prayer in the next breath if you’re tempted to. He’s got this! Praying we all live lightly with Him today!